Important part of the perfect gaming setup is certainly a high-quality rig with decent peripherals like a gaming mouse and keyboard. But, is it crucial to have a mouse pad that is designed and created especially for gaming? It’s not easy to answer this question, because it depends on the type of gaming you prefer, how your desk is organized and whether you use your mouse and keyboard for other purposes. If you think your gaming experience would be even better with the right gaming mouse pad, let’s take a look at its most important features you should pay attention to. Material – A standard mouse pad is made of a rubber composites of lesser density with a fabric that covers it and bonds to the upper surface. A high quality gaming mat is made from rubber, but the layered density type. Also, a top-notch gaming mouse pad are sometimes made from aluminum, glass, plastic or fibers with layered construction. Materials have to ensure smooth and level tracking. Size – Here, you are free to choose whatever dimension suits you and your gaming preferences. Depending on the model and the brand, there are extra large, large, medium, small, as well as double-wide mouse pads for gamers. Surface – When you buy a mouse, the manufacturer will probably claim that their product can work on most surfaces. Nonetheless, gaming calls for more optimized surfaces that can allow precise cursor placement and improved mouse control. Some popular manufacturers offer also mouse pads that are compatible with their mice. Two-sided gaming mats with a heavy texture side for improved control and accuracy and a smooth-textured side for speed; these are great for a gamer who wants to switch between accuracy and high-speed glide. Thickness – Should it be thick, thin or somewhere in between? Try it yourself to see what works best for you. 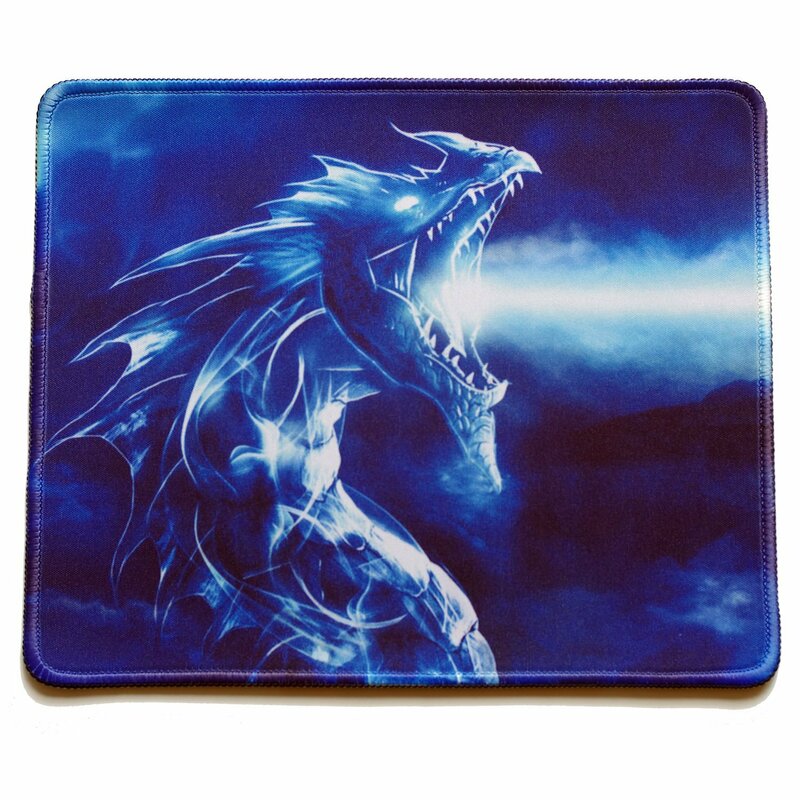 Durability – Gaming means lots of wear and tear, especially when it comes to a mouse pad. Because it will need to survive the repetitive wear and friction, it’s highly recommended to pick either a cloth or hard rubber mouse pad with reinforced stitched edges to avoid fraying.